What Is Level 3 Equivalent To? | What Level Is A Degree? NVQ, RQF, BTEC, IB – there’s an alphabet soup of qualifications out there, which can make it confusing if you need to know how they compare. Maybe you're wondering "What is level 3 equivalent to?" or "What level is a degree?" In this article, we list different qualifications according to their level, so you can see what they're equivalent to. We also explain how they can help you in your career. There are 9 levels of qualification, from entry level to level 8. Qualifications all have their place in the rankings – whether you pick them up from school/college, university, technical college or work. 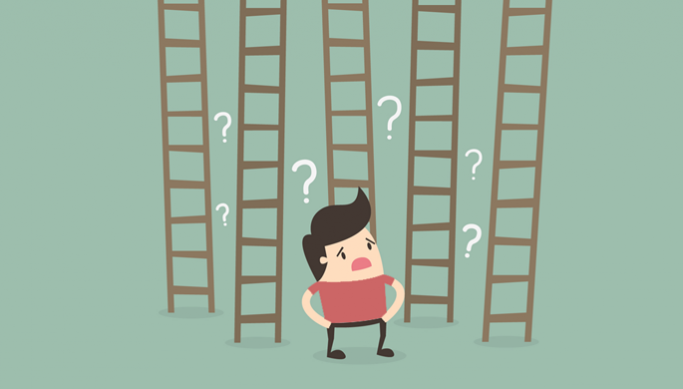 A qualification’s level tells you how difficult it’s considered to be. It doesn’t tell you how long the course is or how it can be used to help you qualify for another, higher-up qualification – we look at how that’s measured later on. Basic everyday skills and knowledge. Not tailored to any job. Basic skills and knowledge, and the ability to work under guidance. The ability to work with guidance. Detailed knowledge, skills and understanding. Qualified to go to university, or to work independently and even train others. Specialist knowledge and analytic ability in a particular area. The ability to do some technical and professional jobs. Knowledge and understanding for complex problem-solving. Specific and higher-level expertise in a professional or technical job. The skills, knowledge and understanding to carry out a knowledge-based job. The ability to develop your own ideas and research. The ability to come up with your own solutions to complicated problems. Able to carry out an advanced professional or technical jobs and senior management roles. The ability to develop new and creative approaches that add to existing knowledge or practice. What is level 3 equivalent to? A-levels at grades A, B, C, D and E are level 3 qualifications, but there are other qualifications you can do instead. Some of them are more applied or vocational, while others are academic. If you’re planning on going to university, you should find out which qualifications are accepted. Some universities look for A-levels (or Scottish highers), often in particular facilitating subjects, from applicants. What level is a degree? As you can see from the table, answering the question "what level is a degree?" depends what sort of degree you have in mind. Degrees start at level 5 and go all the way up to level 8 (the top level). This is because degrees don't come in one size - they are gradated from foundation degree to doctorate (that means a PhD or a DPhil or similar). They get progressively more difficult and equip students with greater skills and knowledge as you go up the scale. Level 5: Foundation degree. This is a vocational qualification equivalent to the first two years of a bachelor's degree. Level 6: Bachelor's degree (with or without honours). What you'll usually come out with if you go to university from school or college. It's an undergraduate degree, meaning it's awarded to students who don't already hold a degree. Level 7: Master's degree. The first level of study for those who already hold a degree. Level 8: Doctorate (eg PhD). The highest academic qualification a university can award following a period of research. Why are there so many qualifications? There are a lot of qualifications listed in the table above, and this can be confusing. The vocational (or work-based) qualifications have mostly been replaced with awards, certificates and diplomas. A new system has been introduced with means qualifications like the NVQ and BTEC are being phased out. Don’t worry if you have one of these qualifications, it’ll still count. Awards, certificates and diplomas can all be at the same level, but they differ in the length of time it takes you to complete the course - with awards being the shortest and diplomas the longest. In the lingo, this is known as the course size. Both the size and level may be taken into account when you apply to do another further qualification. For example, UCAS consider size and level when deciding how many tariff points to give you for a particular qualification. But whether you have a level 3 award and a level 3 certificate are considered to be the same difficulty. Who sets the qualification levels? How the qualifications compare to each other is determined by the Regulated Qualifications Framework (RQF), which is set by the government. The RQF replaced an older system called the Qualification and Credit Framework (QCF). Now you can answer questions like "what is level 3 equivalent to?" and "what level is a degree?" But if you're still trying to work out the best qualification for you, check out our guide to higher and further education.